Hello, dear players and guests of the project uwow.biz. Christmas holidays are over and we are glad to see you at our blog again. 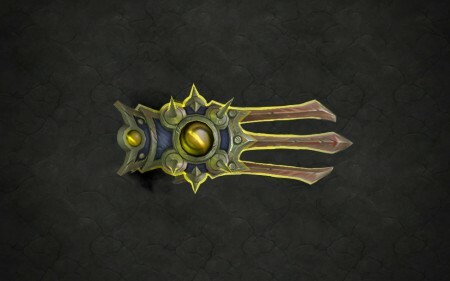 Today, we continue narration about class artifacts of WoW Legion. Enhancement shamans rule all the elements. 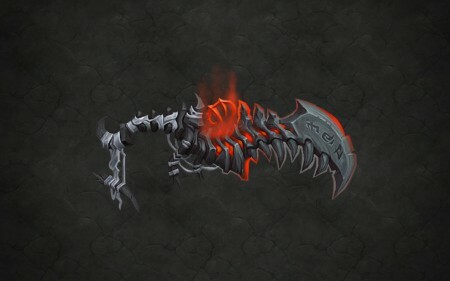 The only weapon which can increase their power is the legendary Doomhammer which has been forged at Draenor in a stream of lava. It has a strong connection with the elements and its greatness will be uncovered only for those who are able to bit the power of elements. 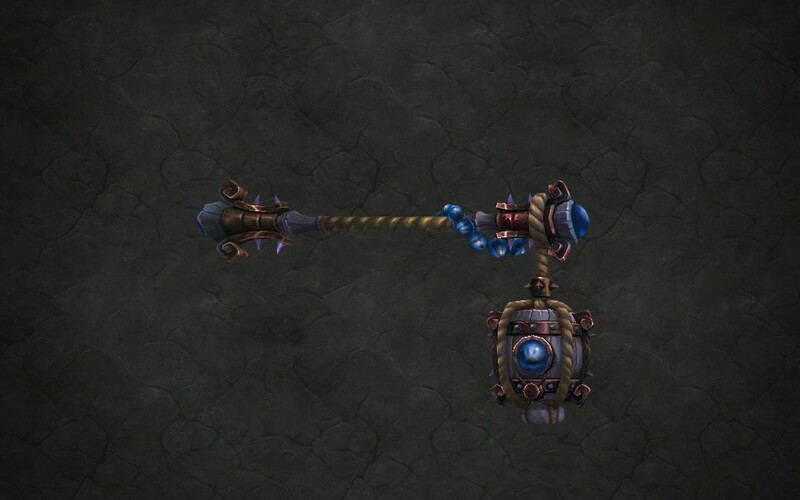 For a long time this hammer was belonging to Orgrimm Doomhammer, but now it belongs to Thrall, one of the strongest and the most experienced shaman Azeroth has ever known. Restoration Shamans wield the Scepter of Azshara, the best weapon for healers. It is created by Queen Azshara before her transformation into a naga. It got the power from the sacred water of the Well of Eternity. 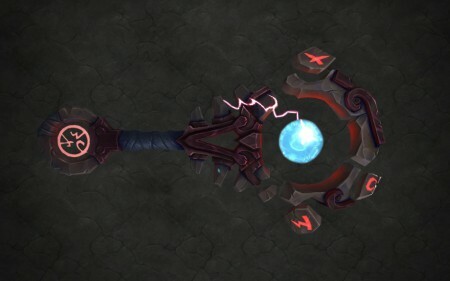 The Scepter of Azshara was lost during the War of the Ancients. It was found later by survived elves. They didn’t know about its power and buried it in a family tomb in Azsuna. Beast Master Hunters are uniquely bonded with the beasts they hunt, blurring the lines between predator and prey. 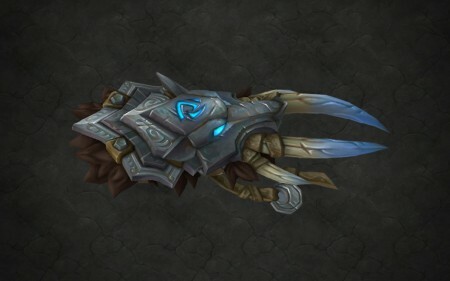 To offset the dangers they face, they wield the rifle Titanstrike, designed by Keeper Mimiron, a titanic watcher and brilliant inventor. 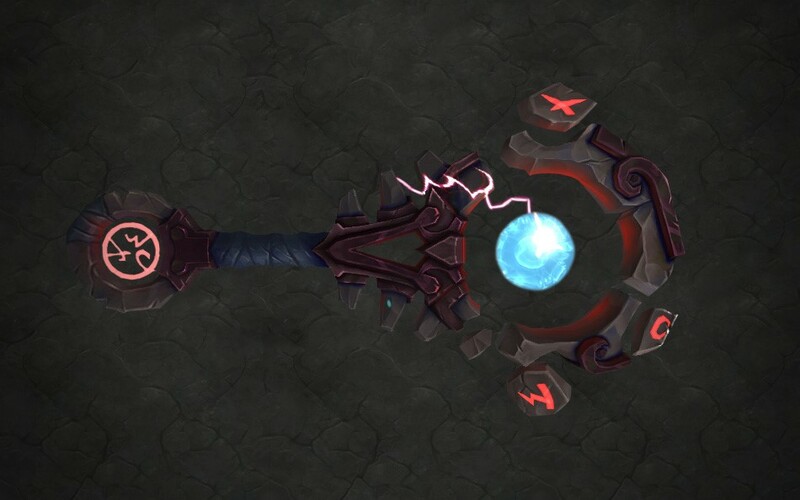 A relic known as the Thunderspark which is also created by Mimiron powers the Titanstrike. It transforms the essence of storms into concentrated blasts of energy. Marksmanship Hunters are the most accurate and skillful. They rely on the power and strength of their weapons. Their choice - Thas’dora, Legacy of the Windrunners, a legendary relic of the Windrunners. The bow was carved from a bough of the mother tree of Eversong Woods. Legend has it that this bow once wielded by a senior member of a family. 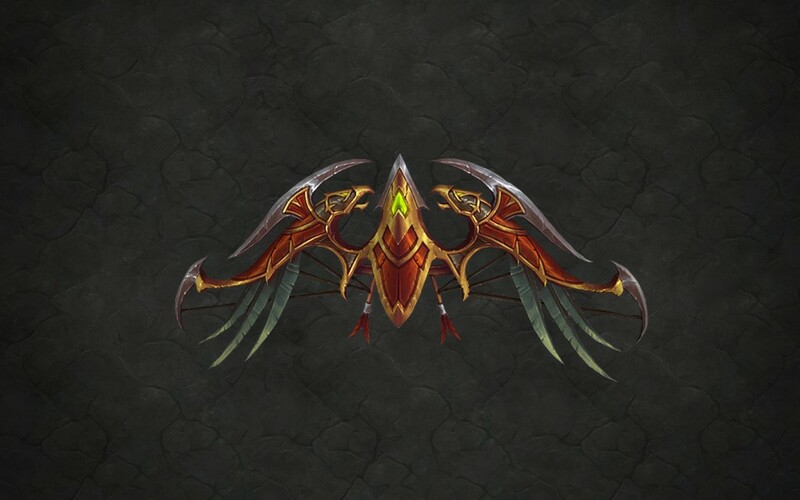 The bow was last wielded by Alleria Windrunner, who disappeared along with the bow following the destruction of Draenor. 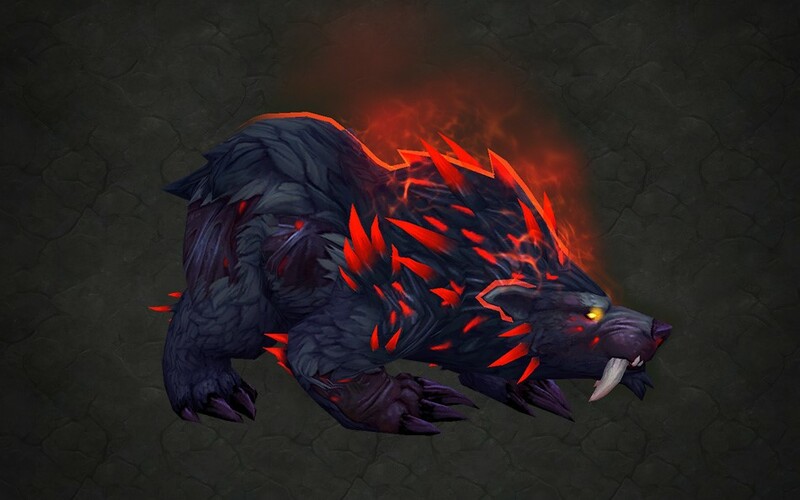 Survival Hunters prefer using traps and snares to bleed their enemies. Talonclaw, Spear of the Wild Gods is ideal weapon for this purpose and it can help you to finish your bleeding foes with one final thrust. 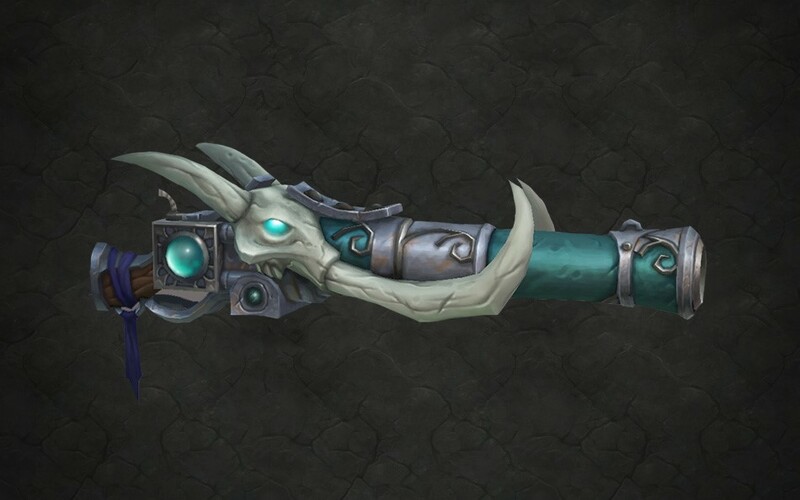 The Highmountain tauren crafted this spear, which predates the first demonic invasion of Azeroth. Talonclaw's wielders have fought alongside Ancients who bestowed their blessings on the weapon, imbuing it with a portion of their power. 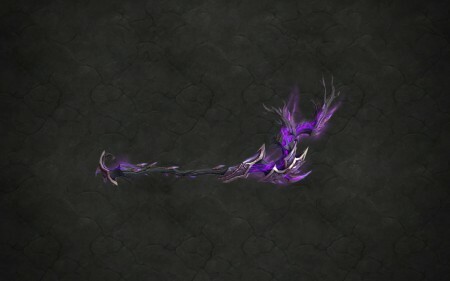 Balance Druids wield the power of Scythe of Elune, a weapon that demands comprehensive knowledge and a great strength of mind. Those who are not strong enough are easily pulled by weapon’s will and become the slaves. 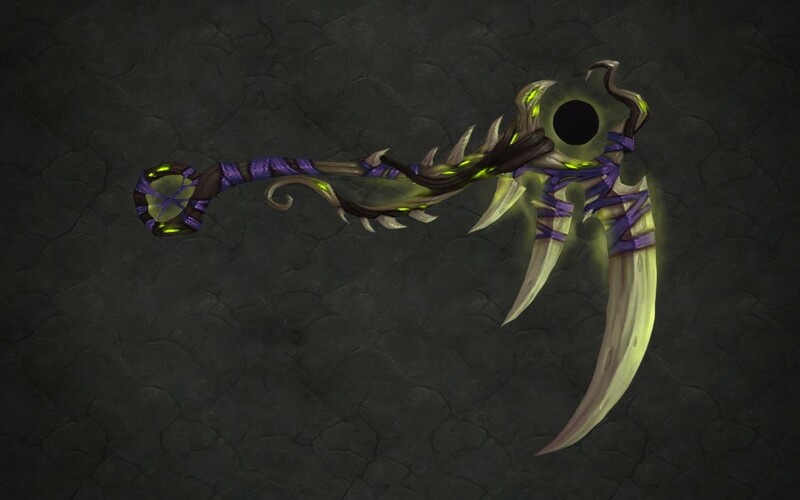 Scythe of Elune was created millennia ago from the Staff of Elune and a fang of Goldrinn. Over its history, the scythe has consumed a lot of souls of those who are not skillful enough to resist the spirit of the wolf demigod, which fills the scythe. Feral druids wield the Fangs of Ashamane. 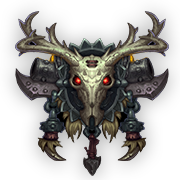 They not only symbolize the strength and resistance of a druid but also serve as deadly weapons in fight. 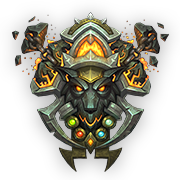 In ancient times they were belonging to panther Ashamane, one of many Wild Gods to answer the call of the Cenarius and defend the world of Azeroth during the War of the Ancients. She fell in battle against the Legion, saving the lives of allies. A great shrine was built in her honor where her fangs were adorned with gems and put on display. Guardian Druids exemplify the term “force of nature.” With the Claws of Ursoc to aid they become a formidable wall, withstanding any who dare to fight them. 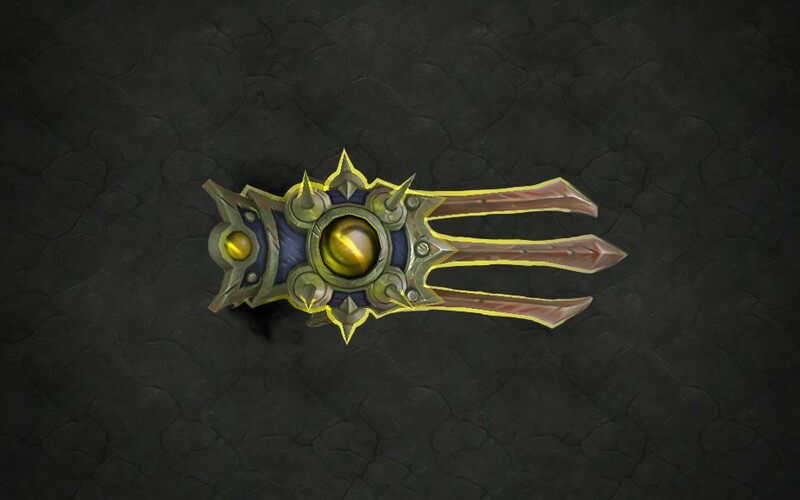 Forged by the titanic watcher Keeper Freya, these claws were her gift to the great bear Ursoc, one of the Wild Gods. He wielded the claws in countless battles until his death during the War of the Ancients. Although his body faded away, the claws remained, and nowadays they keep a fragment of his spirit within them. A lot ages later, the claws away were taken to the Emerald Dream, and given to Ursoc's spirit for safekeeping. Restoration Druids are keepers of nature and masters of the ways of healing. With a branch of G’Hanir, The Mother Tree in their grip, they stand ready to hold fast against any who dare disturb Azeroth’s stability. This is a single branch taken from G'Hanir, the first tree, which was gifted to mortal druids by the demigod Aviana. 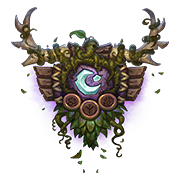 The Tree has a strong connection to the mystical Emerald Dream and its every particle has a healing and stabilizing influence on the world of Azeroth. Assassination Rogues will be able to spend quality time getting to know Anguish and Sorrow—twin blades made for pursuing a mark to eliminate it with one accurate thrust at the last moment. These daggers were made for Garona. The blades are said to drink blood and inflict traceless poison, leaving little signs. She used them to carry out countless atrocities while under Gul'dan's control, including the murder of Stormwind's King Llane, whom she had befriended. After she had got rid of the influence of Gul’dan she came home by Willow Cross. 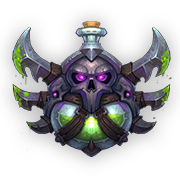 Outlaw Rogues are the most unscrupulous and ruthless combatants of Azeroth. Their Dreadblades (Fate and Fortune) are terrifying the enemies and make them play by the terms which the Rogue is dictating. 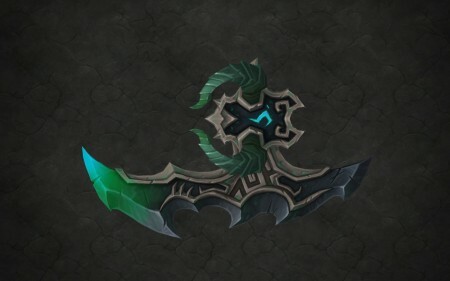 Admiral Eliza Goreblade discovered a pair of blades shortly after the Cataclysm and quickly made her name known pillaging countless ships across the Great Sea. Rumors spread among pirates and sailors about the Dreadblades. It is said, that if they should ever stop being fed new victims, they'll claim their owner instead. Subtlety Rogues strike at the unwitting enemy from within the shadows. They will enjoy the elegance with which the Fangs of the Devourer hit the victim. 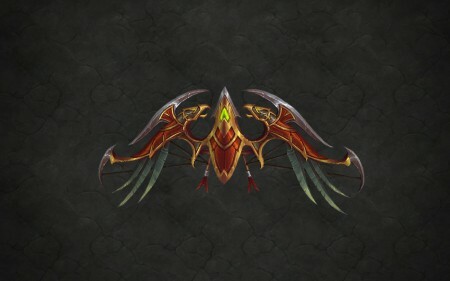 Fangs from which they have been crafted were belonging to Goremaw the Devourer, Sargeras' personal hound who claimed countless lives before it was eventually killed. Daggers are still carrying with them some of the potent withering essence that made Goremaw's bites so deadly. Brewmaster Monks will increase their power with Fu Zan, the Wanderer’s Companion. 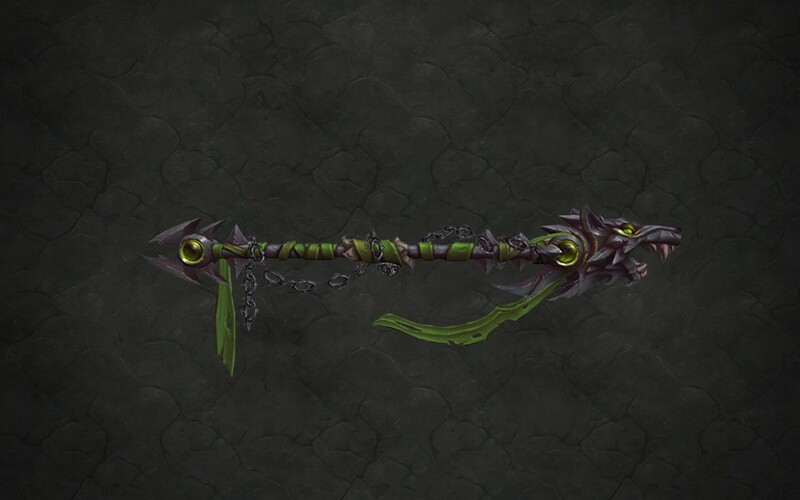 This staff crafted from the first of Pandaria’s forest. 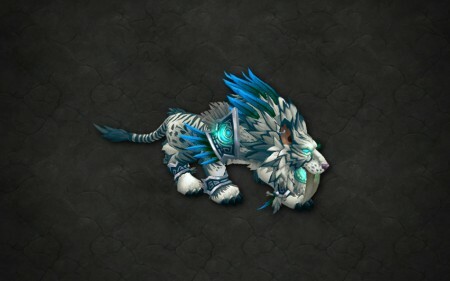 Long ago, as the titanic watcher Keeper Freya set out to populate the world with life, she placed one of the first seeds in Pandaria. From it grew Fu Zan, the first forest. Freya crafted a staff from one of Fu Zan’s branches. Then Freya passed it to the Jade Serpent, Yu’lon. 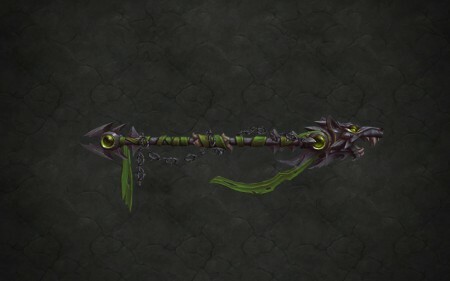 Nowadays, this staff belongs to hozen, commonly called The Monkey King. 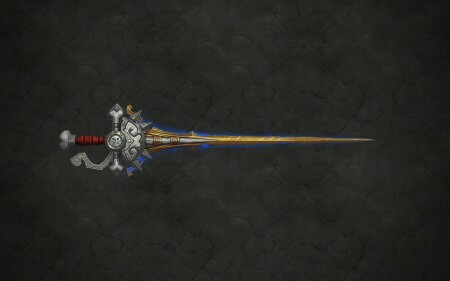 Mistwalker monks should bit the power of Sheilun, Staff of the Mists, which has been through many trials. 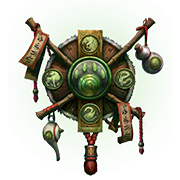 When an emperor Shaohao had got to know about a prophecy that a ruthless Legion would invade the world of Azeroth and leaves it shattered, he decided to save his people. Emperor embarked on a series of trials, taking with him the ancient staff Sheilun, Staff of the Mists. Afterwards, he used his newfound wisdom and made Pandaria into a separate continent and enshrouded it in mist to protect it. Then, he had died and the staff lost his owner. Now it is kept in the Terrace of Endless Spring. Fists of the Heavens in the hands of Monk are lethal against any foe. Infused by the raw elemental powers, these weapons are able to turn skillful warrior into unstoppable hero. 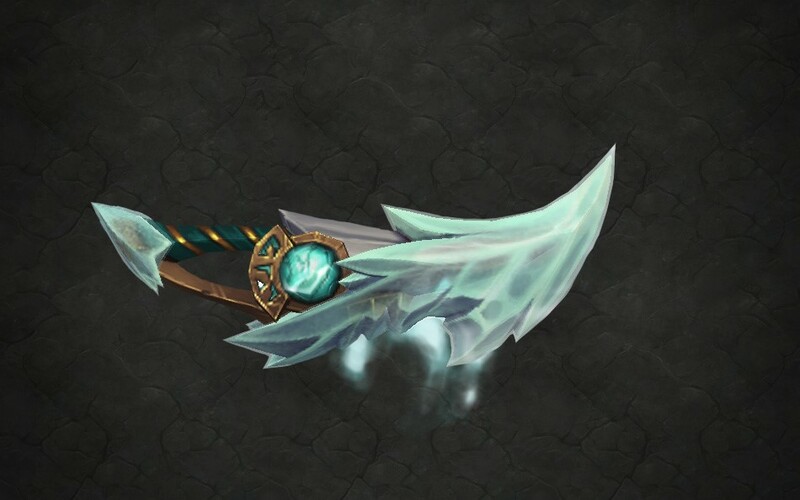 This pair of handblades has been crafted by tol'vir smith Irmaat thousands of years ago. In pursuit for perfection, Irmaat tried to capture the essence of Al'Akir. Al'Akir was angry and decided to spite the smith. He poured as huge power into the handblades that when Irmaat attempted to unleash it, the great vortex sprang up, engulfed his city, and scattered the weapons to the winds. 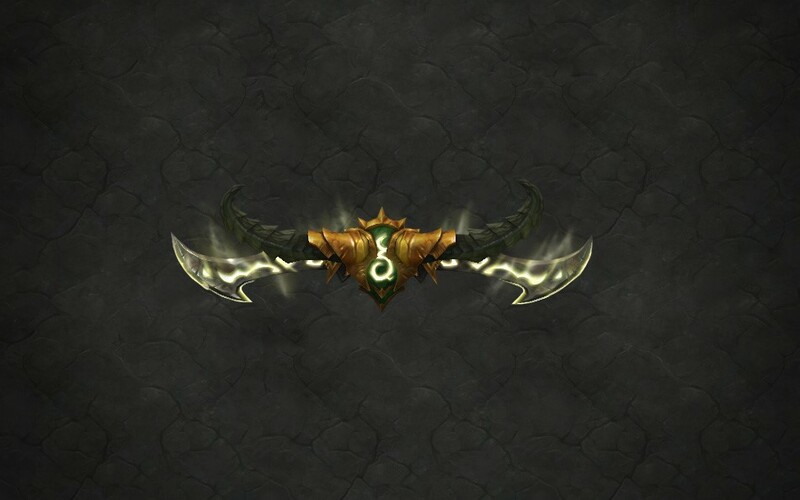 Followers of Illidan, Havoc Demon Hunters will be able to strike their enemies with the Twinblades of the Deceiver. 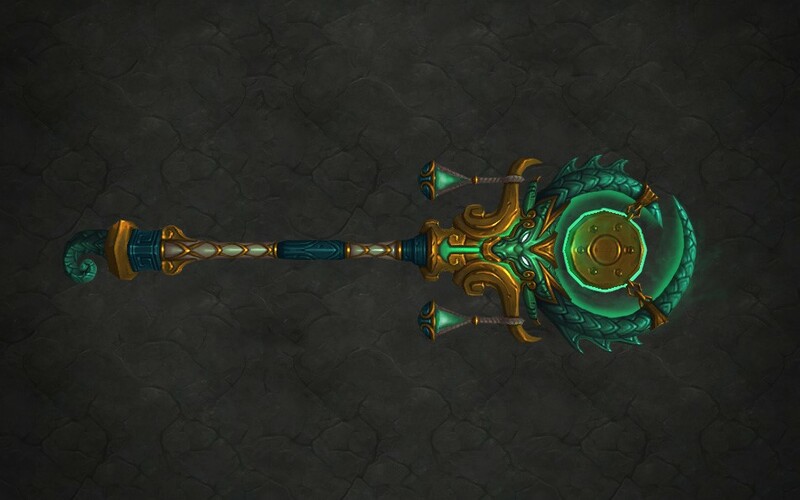 These glaives possesses immense power. They are able to cut through any foe. 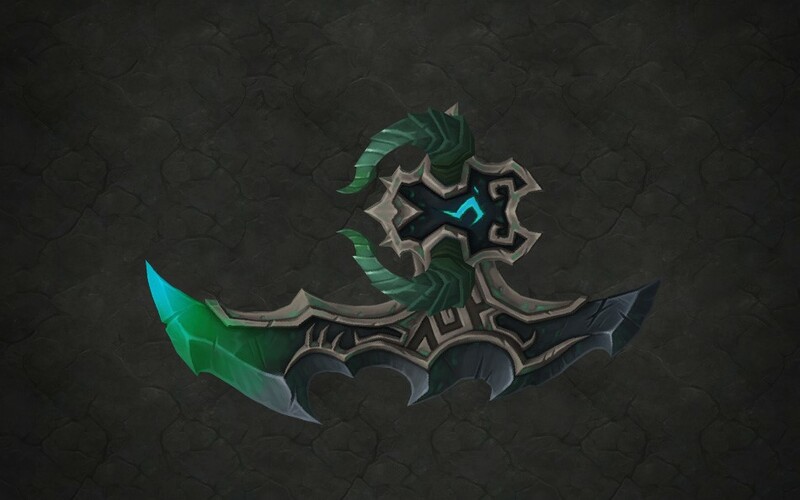 These glaives belonged to Varedis Felsoul. He was a swarn enemy of the Burning Legion. But he was slain at the battle for the Black Temple. 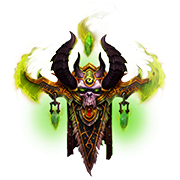 After Kil'jaeden revived Varedis he gave his will to the demon within him. 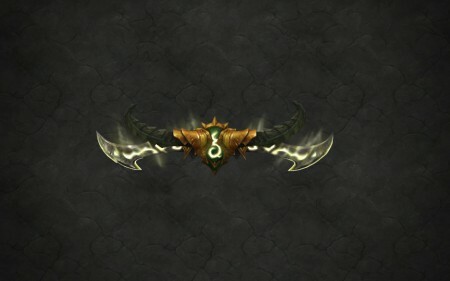 When this happened, his body and his glaives were infused with great power by Kil'jaeden's eredar allies. Vengeance Demon Hunters stand strong against all incoming threats. Their weapons of choice have become the Aldrachi Warblades. In ages past, Sargeras offered the mighty aldrachi people a place in his Burning Legion. But they refused. They slew innumerable demons before their race was wiped out. 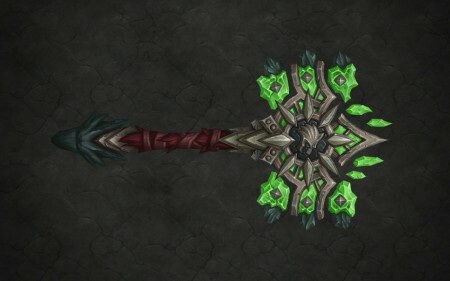 Sargeras personally killed their greatest champion and seized his blades. Many years they were kept in secret until one of the greatest demon hunters came to Kil’jaeden to serve him. This is the final point of our narration about the artifacts of WoW Legion. We hope that you’ve learned something interesting and new.